At Crystal Clear we are able to offer our commercial clients a high quality cleaning service for offices and commercial premises. 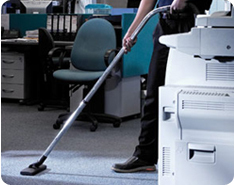 As a company we can provide our office cleaning services to all size businesses. We can tailor our cleaning to suite your business needs & sector, we’ll adapt our cleaning services to match your needs. As a company our main aim is to deliver all of our customers with the best possible service. At Crystal Clear we always strive for cleaning excellence and this can been seen in our cleaning results. Our office cleaning is available daily, weekly, monthly etc and we are very flexible with our cleaning so you can have your office cleaned at a time that is convenient for you. Over the years we have had numerous happy customers and many of which have recommended our company to others. As a company we pride ourselves on the high quality of our services and excellent level of customer service. We always treat all of our customers with the upmost respect no matter the size of the cleaning job.